Several readers have asked us if there are severe side effects of turmeric. While we mentioned major possible side effects and precautions after every article, we thought it to be a good idea to write one dedicated research piece on the topic. Turmeric has a very long history of usage in India and several other countries. 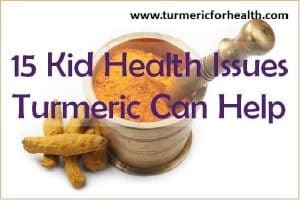 There is so much of accumulated knowledge which has been passed on from generation to generation which also includes precautions to be taken while using turmeric. With modern science and testing methods, we have been able to find a few more possible side effects. But let me start by saying that scientists after so many experiments and studies have found turmeric to be very safe unless one takes it in excess. Now one needs to put things in perspective here, an excess of even water (which is devoid of nutrition and complex chemicals) can also cause health issues then, of course, it is logical that excess of a complex herb as turmeric can cause too. The second point here is most side effects are generally associated when you take turmeric supplements, not when it is included in your regular diet. This is simply because it is very easy to pop-in 3 turmeric capsules instead of one. Thirdly, its benefits outweigh possible side effects by far (you can explore them on this portal). If turmeric is safe, why do we face side effects? What are the possible side effects of taking turmeric? What side effects have been reported by readers and real-life turmeric users? Do the health benefits of turmeric outweigh the side effects? How to overcome side effects of turmeric/curcumin? There have been many clinical trials using turmeric and curcumin for various disorders and there has been no significant side effect reported. In fact, due to its safety profile, it is considered that turmeric or curcumin could be a good non-toxic alternative to NSAIDs, anti-arthritic drugs, etc. No curcumin was detected in blood serum at doses from 500-8000mg. Low levels of curcumin were detected in two individuals at a dose of 10000 and 12000mg. 7 out of 24 experienced side effects, that’s about 30% but the authors that this was not dose-related toxicity. 1 individual experienced diarrhoea at a dose of 1000mg. 1 experienced headache in the 4000mg group. In the 8000mg group 1 individual experienced rash and 1 reported yellow stool. In the 10000mg one individual reported yellow stool and one experienced headache while in 12000mg group one individual experienced diarrhoea. However, all these adverse events were of grade one toxicity. Researchers concluded that curcumin has excellent tolerance and safety profile. If you observe no side effects were reported at a 500mg dose of curcumin and this dose is higher than the amounts that we generally consume in diet. That’s why we recommend starting with small doses of turmeric and gradually increase the dose to avoid such adverse events. Time: Some side effects like stomach discomfort are transient so you won’t face this in the long term. However long term use of high dose supplements can be harmful. Time of taking turmeric: There is no specific time of taking turmeric. However, if you are taking it on an empty stomach or close to the time of taking medicines you could face some mild side effects. Again, we would like to stress that turmeric has been part of the diet for thousands of years and its benefits have been mentioned in Ayurveda too. Below we discuss possible side effects of turmeric. Now this one probably the most common side effect of turmeric. I have not come across any scientific explanation for this; but here are a couple of reasons. If you are taking turmeric for the first time, then it is quite possible that just as your tongue is getting used to the acquired taste of turmeric so is your system. Also, the slight apprehension or anxiety about taking a new herb or spice in the diet may affect its digestion. Next, you are probably taking high doses of turmeric. A study shows that curcuminoid mixture can be safely taken up to a dose of 12g but this was dose was administered only once. So on the long term, high doses may cause gastric side effects. However, it is not the case for everyone; some individuals take as much as 4 tablespoons of Golden Paste every day and they are doing just fine. But yes if the high doses are curcumin supplements we suggest you don’t take it on a long term. Instead, once you have achieved and maintained a therapeutic status we recommend slowly switching to Golden Paste. Another thing could be that you are taking turmeric on an empty stomach. This may trigger acid reflux (Read Can Turmeric Cause Acidity/Acid Reflux). Avoid that for two reasons: one to stop acid reflux and two because turmeric is best digested with food and oil. Common Reader Query – How to avoid stomach-related side effects with turmeric? Start with a small dose of turmeric powder/Golden Paste say 1/8-1/4 tsp a day and continue this for a week. If you don’t observe any side effects increase by ¼ tsp every week and continue this till you reach the ideal dose. Avoid taking turmeric (spice or supplement) on empty stomach. It is best to take it after meals. Avoid taking high doses in the form of supplements for a long time period. If you are allergic to ginger then it is likely that you may be allergic to turmeric as well. In this case, it is best to steer clear of turmeric as well as turmeric supplements. Turmeric as a herb is said to have anticoagulant properties and its active ingredient, curcumin is proven to have an anticoagulant effect. This is not really a side effect. Say you are suffering from a heart condition or thrombosis and you are taking warfarin for it; well turmeric could do exactly the same thing that warfarin is doing for you without the side effects. So turmeric can help maintain anti-coagulant status and benefit in heart risks. There are some speculations that turmeric could have an additive effect with anti-coagulants. However, science proves that curcumin does not have any such additive effect and does affect warfarin’s and clopidogrel’s action on bleeding time. But it did increase the concentration of the drugs in the blood and this on the long term can have toxic effects. Common Reader Query – How do I take turmeric, if I have a bleeding/clotting disorder or I am taking blood thinners/Anticoagulants? Do not take curcumin/turmeric supplements in case of a bleeding/clotting disorder. First, consult your doctor about introducing turmeric in your diet. Consult a herbalist or naturopath about how you could introduce turmeric in your diet and life. If the above fails and you are brave enough to start turmeric, take a very small dose to say 1/8-1/4 tsp in just one meal in a day. Occasional dietary consumption of turmeric would not cause any bleeding risks but still benefit you. Do not take a single large dose of turmeric, take it in small divided doses not more than thrice a day. Do not take turmeric/Golden Paste close to the time of taking anticoagulants. Readers have successfully taken turmeric in a bleeding disorder, read Is Turmeric A Blood Thinner? Here is a list of side effects that have been reported by our readers. Only a minor percentage of readers have reported may be one of these side effects; most of which are minor and transient side effects. Each of these is presented just to increase awareness and not to intimidate you from taking turmeric. This could be due to an allergy to turmeric/curcumin or to the additive in the supplements. Even the presence of heavy metals in turmeric could cause such rashes. Common Reader Query – Turmeric gives me a rash and itching sensation, what should I do? Opt for organic turmeric powder (For help with brands click here). If taking supplements opt for a better brand or consult a health practitioner. If the rash is too severe stop taking turmeric. There is no scientific explanation that I have come across for this. Yellowing of the skin, sweat etc could occur at exceptionally high doses. Common Reader Query – I am experiencing yellow stools, sweat, skin or nails after taking turmeric, what should I do? Reduce the dose of turmeric you are taking. If taking supplements, switch to dietary turmeric. Also, this effect may be transient so wait for a week till your body gets used to turmeric. Turmeric may initiate menstrual flow in some individuals, as traditional medicine suggests that turmeric has uterine stimulating properties. Even postmenopausal women have experienced slight uterine bleeding with turmeric supplements. Common Reader Query – Turmeric started my periods or I have heavy uterine bleeding, what should I do? So firstly if you are taking supplements and experiencing this symptom, my advice go off the supplement. If you are taking turmeric as a spice then reduce the dosage or limit your intake to ½ tsp a day. Also if you are experiencing this after menopause even with dietary turmeric discontinue turmeric’s use. I can’t give a genuine scientific explanation for this right now but to keep it simple turmeric may regulate your hormones but for good. And this why you could be possibly experiencing hot flashes. Common Reader Query – I am experiencing hot flashes/face flushes/night sweats with turmeric, what should I do? Reduce the dosage of turmeric. Switch to a different brand of turmeric or turmeric supplements. If using supplements switch to dietary turmeric. This symptom is commonly noted in animals but a few users have reported this symptom too. Common Reader Query – I experience body odor or cat pee smell after taking turmeric, what should I do? Adding cinnamon to your Golden Paste can take care of this. A pinch with every dose should help and if for the entire batch ½ tsp should suffice. If you are taking turmeric for the first time, mild side effects like bloating, flatulence and frequent bowel movements are possible but they should disappear in 2-3 days. Pronounced gastric side effects could occur as a result of poor quality turmeric spice/supplement or due to high doses. Common Reader Query- I have experienced increased bowel movements/flatulence/ bloating with turmeric, what should I do? Make sure you are using organic turmeric and always start with small doses. This effects are transient and will reduce as your body gets used to turmeric. If taking high doses, please reduce the dose of turmeric. Mild nausea is possible if you take a high dose of turmeric or you do not like its taste. Turmeric would not cause vomiting. It could occur as a result of contamination of turmeric. Common Reader Query – I am experiencing nausea/vomiting after taking turmeric, what should I do? If its mild nausea then it will pass and if it is due to the taste try masking it in food. If it is severe nausea/vomiting discontinue turmeric usage or switch to a good quality organic brand. There is no reason as per science yet to ascertain why turmeric could initiate or worsen a headache; it should actually help relieve it. Common Reader Query – My migraine or headache has worsened with turmeric, what should I do? In case of increased headache reduce the dose of turmeric or discontinue its use. Turmeric does not cause pimples. This could be a case of allergy to turmeric or possibility of other contaminants in it. Common Reader Query – Turmeric is causing my skin to break out and I am getting pimples, what should I do? Switch to a good brand of organic turmeric or discontinue usage of turmeric if you still observe pimples. Here are a couple of precautions one should be aware of when using turmeric. Discontinue turmeric supplements 2 weeks prior to surgery to minimize bleeding risk. Avoid or limit intake of turmeric as a spice in kidney stones or disorders because it is high in oxalates and has potassium as well. Limit or avoid turmeric as a spice in gout because of its high oxalate content. Avoid turmeric supplements in gall bladder obstruction as curcumin at low doses causes gallbladder contraction. This may cause pain. Dietary turmeric is safe in Pregnancy, avoid turmeric supplements in this phase. If suffering from bleeding or clotting disorder, take turmeric with caution. Avoid turmeric supplements if taking blood thinners. Herb-drug interaction is not generally involving a reaction between drug components and active ingredients of herbs. What can happen is that the herb may increase the amount of the drug in the blood and this on long term may have a toxic effect. University of Maryland Medical Centre mentions that turmeric could have a possible drug interaction with blood-thinning medicines, stomach acid-reducing medicines, and diabetes medications. Curcumin in turmeric interferes in the activity of drug metabolizing enzymes, hence if taken concomitantly with any medication can increase the concentration of the drug in the blood. This on the long term may have side effects. Black pepper contains active ingredient piperine, which when given with any herb or drug increases its absorption in the body. Maintain a 3-4 hour gap between taking curcumin or large doses of turmeric (Golden Paste) and any medication. Curcumin supplements should not be taken if you are already taking an anticoagulant. Curcumin, found in turmeric, works as chemo and radiosensitizer- it increases the sensitivity of cancer cells to chemotherapy and radiotherapy, reverses chemoresistance and helps terminate the cancer cells better. It also counteracts the side effects of cancer treatment. It is an anti-cancer agent and can prevent cancer. It has immunomodulatory properties that benefit in autoimmune conditions. It protects and preserves bone health from conditions like arthritis. It benefits the skin and protects from skin disorders. It is brain food as it helps combat mood related disorders and prevents conditions like Alzheimer’s. It benefits in metabolic health and aids in weight loss. It protects from side effects of drugs. It protects the heart from disorders. It is a natural anti-inflammatory agent and enhances wound healing. It has potent natural antioxidants. Now if you are comparing these health benefits with side effects like gastric discomfort as frequent bowel movement, bloating, etc. then you are the best judge to ascertain who wins the case. Such side effects are transient and can be minimized by reducing the dose. However if it is something more serious like an allergic reaction, skin rash affecting the whole body, bleeding event then you should definitely steer clear of turmeric. If taking turmeric supplements consult a doctor prior to taking it. If experiencing side effects on turmeric supplements switch to dietary turmeric. Reduce the dose of turmeric spice or supplement and observe if the adverse event is mitigated. Split the dose of turmeric and spread it over the day. Avoid taking turmeric on an empty stomach. Avoid taking turmeric as a spice or supplement close to the time of taking medicines. Maintain at least 4-hour gap. Refer to the side effects and precautions listed above for help with a particular symptom. In the end, taking good quality turmeric is very safe. It has been tried and tested for thousands of years and its benefits are in front of us from various scientific studies done by researchers and experienced by our readers. 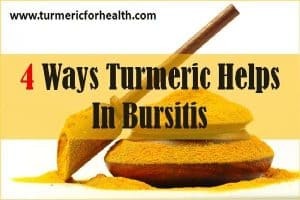 I have noticed red spots on my skin as well as some bruising since I started taking Tumeric daily. I do take Advanced Tumeric capsules , 2 a day with meals. I do not use tumeric in my cooking. I have developednyellowness of the teeth. I always observe very good dental hygeine care. Use Electric tooth brush in the morning and at night. Use Oral B dental floos few times a day. have no decay and no inflammatiion in the mouth. Whe then yellowing of the teeth? Is there any clinical evidence that curcumin in dietary or slightly greater doses damages the human gut flora? Event: C. Diff diagnoses after 2 months of Curcumen 95% intake at twice the suggested dosage. Stool was the exact color of curcumin. C.Diff toxins were noted. No history of antibiotic use for previous 60 months. Severely damaged flora was postulated as a vector. No laboratory evidence sought to support that suggestion. I have much apprehension to starting Turmeric supplements again… I suffer from severe joint inflammation of all large joints. Previous use of turmeric yielded a 98% reduction of pain & inflammation. The primary concern is gut flora damage as a possible vector to C.Diff susceptibility… Diagnoses was attributed to contact contraction. I am taking Curcumin and have noticed that my throat feels very hot. I also have yellow stools. Are you consuming high amounts/dosage of turmeric/curcumin? Please consider reducing the dosage. i am looking for an honest answer wrt use of curcumanoids after a bone break. it seems it may be “too good” at removing inflammatory process etc. i am huge on curcumanoids ( supplement form) your articles have informed me thank you . i have just returned from 1 week follow up afte breaking long bones at wrist and parting conversation with doc, even tho i was thrilled with remoulding i saw on xray, made me think maybe he was seeing less sign of bone mass than he expected……he brought up not to take antiinflammatories…..
Hi Brenda. Curcuminoids are anti-inflammatory agents but they also aid in pain relief and healing. They reduce oxidative stress and create a conducive immune environment for healing as well. This helps us understand why traditionally turmeric milk is recommended for recovery from injuries. Hope this helps. I just realized I have been poisoning Myself by taking this tumeric. I am allergic to Ginger and I did not realize but this is why my stomach has been upset and my acid reflux has been acting up so much and I want to know how long does it take to get out of my system. Can someone please tell me how long it will be before it is out of my body totally because I feel like hell. Please get back to me ASAP! I ate Pasta made with Curcumin (instead of eggs) on 30 November 2018 – today it is 1 March 2019 and I have been suffering ever since of paint in my gastrointestinal tract. My stomach is swollen, my bowel is very painful. All I can eat is Sushi and eggs. I can’t sleep at night. This crap has destroyed my entire internal gastro system….!!!! I found out afterwards that it has side effects that were not indicated on the packing of the product. I now have to go through a colonoscopy and gastroscopy and have been under medical treatment that is ineffective….. I would also like to know how long it will take to heal, if ever. No-one seems to take this seriously and just keep on praising this stuff saying it is the cure-all for all kinds of illnesses which is absolutely untrue. For strong menstral cramps, should I take the turmeric every day of the month or only the days before I expect my period and when I am menstruating? Hi. We would suggest taking turmeric every day for overall health benefits as well as for menstrual health. If you experience severe cramps during your menses, you could consider increasing the dosage for better pain relief. This should be done with caution as few individuals have reported increased menstrual bleeding with turmeric. Hope this helps. im a lactating mother and i do have hepatitis b.. is it ok if i drink turmeric? thank you..
Hi. Yes you can consider consuming turmeric in diet. It’s safe. I have been taking Turmeric for years and I have a sustained increase in Potassium levels (Hyperkalemia) so I need to go off of Turmeric. Hi there, i have been taking about 6 capsules per day after lunch of turmeric standardized to have 95%curcuminoids (450mg turmeric root, 50mg turmeric extract standardized to contain 95%curcuminoids per serving). I have been experiencing sweats and red marks on skin whenever i try scratching them or when myvskin gets indented for a while. May i ask if these are normal side effects of what im taking? Many thanks. Hi. That’s a fairly high dose which provides you 2700mg of turmeric powder and 300mg of standardized extract. Such high doses are not necessary unless you have a certain health condition that you are trying to treat. We aren’t sure if the side effects you are facing are a result of turmeric supplements, but it is best to cut down on the dosage. A couple of years ago I thought I’d take Turmeric in capsule form, one a day. I do not take any other form of medication, except for vitamins. After Day 1, I noticed my stools were a deep red. At the time I googled and could not find any info about this. Worried, that the turmeric was causing internal bleeding, I stopped taking it after just 2 days. Two weeks ago I thought I would try turmeric tea (thinking it would not be as ‘harsh’ on my system). Again, I noticed a darkening of stools. I persevered but the side effects persisted. So I stopped for a few days. Stools returned to normal. Yesterday, I drank just 2 cups of the tea and this morning, the darkening of stools again. Hi Susan. We have not heard of such a side effect with turmeric use at low doses. Are you facing any other symptoms such as stomach cramps or acid reflux? Please avoid using turmeric and consult your doctor about the same. I experienced the same thing but with more obvious bleeding. Started taking 600mg Organic Turmeric Curcumin capsules with added Black Pepper once a day for the past 6 weeks. First it stimulated my period, was bruising more easily than usual and then I started to get a little bit of blood in my stool here and there for 2 weeks but I didn’t connect the dots until the bleeding became more pronounced over 4 days – red stools and obvious blood in the toilet bowl and water. Stopped taking them and have returned to normal. Annoying as had cleared my skin up completely which is why I was taking them but clearly not a good fit for me otherwise. I’m researching bruising and curcumin and found your post… am taking an estrogen reducing supplement with liver support (helped adult acne,) and started bruising easier but stopping it has increased acne again. Did you find another liver support product that helps with acne but doesn’t promote bruising? My wife began using turmeric. She noticed becoming very easily bruised at one point after taking a couple of aspirins for a headache. Both thin blood. Care should be taken not to combine turmeric and aspirin at the same time. I have bought my first Turmeric roots. Spice Store said it’s organic but who knows? I live in northern Israel where the amazing open spice stores sell by weight. There are no labels. What do I do with the roots apart from peeling and mixing into vegetable soups/ stews? How to keep them? I keep fresh ginger loosely wrapped in kitchen towel in the door of fridge. It keeps well. Thank you and waiting for your suggestions. I am taking medn propranalol n amitriptyline. Can i take curcumin supplements? Hi… thank you for the post. It is really helpfull as i am trying to make regular coconut milk with tumeric and ginger at night before sleep. It seems I did not experience any side effect but my cousin who has big belly had gone to toilet couple of times today. Is there any like fat reducing agent or like weight loss property in tumeric? Hi. Turmeric does have anti-obesity property. Taking high dose of turmeric at once may cause a stomach upset or change in bowel movements. after stopping curcumin you are normal or there are side effects which continue after stopping it. Hi, my doctor just suggested turmeric capsules for high cholesterol. There are no risk factors such as family or personal history of heart disease but I’m 71 and he wants it lower. My concern is my BP is only 115/80 and I tend to wake up with very low blood sugar which can get low during the day as well. I eat very little carbs, mostly fruit and veg, no cereals. Should I proceed with this suggestion or is it risky for me. I have a fully covered stainless steel stent in bile duct.Due to sludge accumulation it gets clogged causing cholangitis and jaundice.Stent has to be changed.I would like to know whether the GP assists sludge accumulation and infection or it helps flow of bile through stent.As i read the turmeric can induce stent obstruction. Hi! High cholesterol runs in the family. Lost some family due to heart attacks… I am on propranolol, atorvastatin, gabapentin, xanax, lyrica, lamotrigine, prazosin. I take vit d3 5000 iu 2 pills daily (deficient) 1000 mg of magnesium. I want to keep my heart healthy, do any meds above cause problems with turmeric? I have a bottle of 500mg with 50mg ginger powder. Hi. Since you are taking many medications at the moment we would suggest avoiding curcumin supplements temporarily. Though we have not come across any specific interactions, taking curcumin at this stage is not advisable. About the cholesterol and heart health, we would suggest including turmeric in diet. You can take Golden Paste. Start with small doses such as 1/4-1/2 tsp and if you see no side effects then increase the dose gradually to 1 tsp 2-3 times a day over a few weeks. You can add 1/2 tsp garlic powder to 1 tsp of golden paste.Best taken with food to avoid acid reflux. Avoid taking it at the same time when you take meds. Please confirm with your health practitioner before making any changes to your diet or taking any supplements. Hope this helps. Hi. I started taking turmeric everyday mixed with milk in the morning. I have been taking t for a week on an empty stomach. But I have noticed that I have decreased bowel movement. I experience pain and slight discomfort. But prior to this, I have never had any such issues. My mother also has turmeric milk with me, but she has no such problem. Why is this so? Hi. Turmeric is good for gut health and also works as a carminative. We have not come across any evidence regarding turmeric ingestion leading to reduced bowel movement. Has there been a change in your diet or stress levels? Does milk consumption affect your bowel movements? If you feel turmeric is the issue try discontinuing it’s consumption and see if your bowel movement normalizes. You could also avoid consuming it on an empty stomach. I experienced severe dizziness while taking “Youtheory” Turmeric preparation. I was taking two tablets together in the morning. It would get worse as the day went on. I was scheduled for knee arthroscopy so I stopped it because of potential blood thinning properties. The dizziness went away immediately. I also take victoza for type 2 diabetes. I had noticed that I had bruising everywhere I injected it. This too largely resolved with the discontinuation. My arthritis pain increased though. I plan to resume tumeric Inot the former of the golden paste after my surgery. I will not be able to take NSAIDS as they give me moderate give problems of GERD within three days of initial dose. Hi. Sorry to hear about the adverse effects you faced. We would recommend opting for dietary turmeric such as Golden Paste or Golden Milk in limited amounts to help mitigate the arthritic pain. My rottweiler was diagnosed with lymphoma and takes Solal curcumin morning and night amongst other supplements. Shes been taking it for over a month. In the last week she has developed a rash on het tummy. Could it be from the curcumin? Hi. If she has been taking many supplements it would be difficult to identify what caused the rash. You could consider skipping the curcumin and see if the rash improves. But we would suggest consulting a vet about this. Also we would highly recommend turmeric powder over curcumin supplement or in addition to it, if it is suiting her. I started taking 500 mgs. of curcumin by CuraMed 3 weeks ago for chronic inflammation due to recurring UTIs. I started noticing a cat pee smell although I had not had that prior to taking supplement. Also started feeling like my insides were on fire in past week, but didn’t connect to the supplement….now I do connect it and will stop taking it. Most doctors don’t know anything about it, but even natural health practitioners mostly think it’s beneficial. Everyone is different, but probably started on a much higher dose than needed. I treated the burning up inside feeling with freaks aloe Vera gel and pulp from my garden…juiced it with a little water and apple juice. Obviously I will take no more. Hi Renee. Sorry to hear about the issue you faced. Perhaps it was a high dose for you. Also turmeric supplements are bulky and tend to cause acid reflux like symptoms in sensitive individuals. Aloe vera, as you mentioned, can help relieve acid reflux. Please discontinue the use of supplements. I experienced the same effects you describe and so does my friend who also takes it at 500mg a day. It usually takes a week or so for it to build up in the body before this occurs. We describe it as heartburn feeling in the wrong places. For me it also causes a tickling in the bronchial tubes which progresses to a cough. Should turmeric supplement turn pee a yellow/orange color? I have been taking 1 capsule of 600mg of turmeric for 2-3 days and my pee is yellow orange. Hi. Yes apparently both stools and urine can turn yellow in color (when taking turmeric supplements at high doses) due to rapid excretion of curcumin. Not really a common thing but it has been observed a minor side effect in 1-2 studies. It is a transient effect and not that bothersome as well. Ensure that supplement contains a bioenhancer like piperine or lipids to aid in absorption of curcumin. Hi. Please avoid the use of turmeric supplements. This could be an allergic reaction. Please consult a health practitioner. I have been taking Turmeric special formula with bromelain & boswellia 200mg/325mg/50mg for approx. 5 years … Recently if my arms get barely hit purple spots come up my arms are looking funny lately…is this normal??? Hi. That does not sound normal. Each of these three, curcumin bromelain and boswellia have anti-platelet activity. Please reduce the dosage or discontinue the use of supplements. Also consult a health practitioner about this increased tendency of bruising. Hi. Yes that should not be a problem as long as you avoid taking turmeric capsules on an empty stomach and maintain a 3-4 hour gap between taking turmeric and medications. PLEASE don’t forget to mention to avoid taking SSRIs with Curcumin to avoid the chance of Serotonin Syndrome which can have very dangerous side effects if combined. Please add that to your drug interactions because someone , like me , could be prescribed a medication not labelled as an antidepressant while taking Turmeric supplements and inadvertently do harm to themselves. Hi. Thank you for mentioning this. That is why we always mention to keep a 3-4 hour gap between taking turmeric and any medication to avoid any drug interaction. But we will update our post regarding this. A lot of people take blood pressure meds. Can you tell me if curcumin is safe to take with these medications? Hi. Turmeric in diet is absolutely safe. If opting for curcumin supplements we would suggest maintaining a 3-4 hour gap between taking those and any medication. No study reports drug interaction with blood pressure medications, but taking this precaution can prevent any such reaction. Also you consult a health practitioner about this. I have a friend who takes Metformin for diabetes. He wants to take a tumeric supplement (either 500mg or 1000mg daily) alongside the Metformin. He asked his doctor, who only knew tumeric was a spice added to curries! The doctor didn’t say yes or no. Do you believe he could take the supplement alongside the Metformin? Appreciate any assistance you can give. Thanks in advance. It is best to get a consult from a herbalist or other health practitioner about this. Also if one does plan to take curcumin even with conventional diabetes therapy the rule is to avoid taking curcumin at the same time as other medications and maintain a 3-4 hour gap. Even golden paste helps in effectively managing blood sugar levels. I made my own turmeric paste and I may have added a little too much pepper is this a problem? Hi. That is absolutely fine. It should not cause any problem. Do take it after meals to avoid any chance of acid reflux. i am hemophilic. can i take turmeric tea for weight loss?? I just started taking golden paste four days ago. I have developed sore bottom gums, teeth are sensitive, and it is hard to eat, like when you have ulcers in your mouth. Can turmeric cause this? Or maybe the coconut oil I used with it? I am taking an antidepressant and aromatase inhibitor for breast cancer, but I don’t take them at the same time as the golden paste. Thank you. Hi. Please discontinue taking turmeric if you are experiencing oral ulcers. Turmeric or coconut oil are unlikely to cause any tooth sensitivity or sore gums as they are anti-inflammatory agents. Please check the quality of both. Also consult your health practitioner about this. Hi. Please reduce the dosage of curcumin or discontinue if you are facing any side effect. Curcumin actually protects kidney health. Check if it is a good brand of curcumin. If the supplements are made from plain turmeric spice and not standardized 95% curcumin then presence of oxalates in the spice could affect kidney health. Consult your health practitioner about the kidney pain. I really need to know daily fresht root turmeric dosage for cancer treatment after surgery. I started to use fresh root turmeric for cancer treatment.1 finger joint size crushed root with crushed blackpaper, lightly sauted in half tsp olive oil, 3 times a day. Consult your health practitioner prior to taking curcumin supplements. Hi. Please avoid turmeric if you are facing allergic reaction. Consult a health practitioner about the same. I just slightly introduced powdered organic turmeric a few days ago, sprinkled on a couple of meals; o m g,, I had horrible leaky gut; acid reflux; heartburn & gas, And an internal rash , that seemed to be generated from nerve activation. I do take depression meds. I was very sick & will not use this now;(. So interesting as I have heard it’s so good for health• but for some reason did not do me well. Also I have no allergies to foods, etc. just pollen. Hello. I’ve been using a turmeric and yoghurt mask for dark circles for a while now. After applying some today, I noticed much to my dismay that the whole area under my eyes has gone red and looks as if I have two black eyes. Is there anything I can do to reduce it? I am quite horrified at the result as I haven’t had a reaction before. Thank you. Hi. It is quite unlikely that turmeric should elicit such a reaction. If its an allergic response please consult a health practitioner. Do check for any possible contamination and discontinue the use of turmeric in such a case. Hello! First off I would like to congratulate you on your wonderful page. Great work! Secondly, I have just ordered a high grade curcumin 95% for my mom who’s on a couple of blood thinning medications such as plavix and aspirin. Should I stop giving her the meds? I fear that she could hemorrage from all I have been reading. Or should I try and cut down on the medications while I give her Curcumin? Her doctor doesn’t believe at all in turmeric and says I am wasting my money and I am jeopardizing my mom’s health. Any advice? Hi. Turmeric does have anti-platelet property but it hasn’t been proven in human studies. It is best that you consult a herbalist or naturopath about this. animal studies are used as models for human treatments ALL THE TIME and doesn’t invalidate results necessarily. A doctor or pharmacist with advanced research in evidence based medicine should be consulted, not a naturalist since this is a serious situation including life sustaining treatment. It is common practice to recommend discontinuing turmeric use for weeks prior to any surgical procedure to reduce the risk of hemorrhage. The effects on bleeding from turmeric are well documented and respected. Hi. Yes findings of animal study can’t be ignored. In fact readers suffering from thrombosis have reported to have managed their anti-coagulant status after taking turmeric. But it is important to note than Indians and Asians continue to include turmeric as well as other spices in diets prior to surgery and even for life. Therefore for anyone taking blood thinners we recommed conslting a suitable health practitioner before taking turmeric. You should not stop giving your mom her prescribed medications which are likely there to prevent a blood clot and/or stroke. She will not have gross hemorrhage unless she has some type of rare bleeding disorder which I doubt in this case if a physician prescribed her those medications in the first place. I also wouldn’t recommend giving her a dietary supplement that encourages “blood thinning” such as turmeric as it could lead to a cerebral hemorrhage leading to a different kind of stroke and/or death, especially in elderly population. Hi, I have long term acid reflux. My doctor increased my daily Omerorozal from 10mg to 20 mg daily. For some time when I swallow Omerprozal capsule I feel a burning in my oesophagus followed by acid reflux, the reverse of what it should do. I sprinkle turmeric on my morning porridge, made with milk every day. I also take 2mg of Doxadosin to reduce high blood pressure. Could turmeric be affecting my acid reflux? I am 82. Thank you. Hi. There is quite some evidence that suggests turmeric benefits in acid reflux but yet some individuals do experience acid reflux on taking turmeric. You could try omitting turmeric from diet and see if it helps. Turmeric also help in lowering blood pressure. Hi, I just wondered if you could be specific re liquid turmeric. I have started taking Fushi OrganicTurmericTincture. I put a dropper of 0.5ml of tincture in a cup of boiling water as a tea and it tastes delicious and I have several per day. Fushi state that 1 ml is equivalent to 500mg of supplement powder. I have changed from taking curcumin capsules to the turmeric tincture to see if it is effective. I wondered what your recommended daily drops of 30 is in a ml measurement. Thank you. I have read that comparitively curcumin is missing many beneficial chemicals. Do you have any experience with the turmeric tinctures? We dont have enough data to suggest what that would be in terms of ml. Curcumin is one of the bioactive components found in turmeric but yes turmeric has much more to offer than curcumin and yes most of these components should be soluble in alcohol and hence should be present in turmeric tincture. Gallbladder issues run in my family and my father had his removed last year at age 63. I’m 32, should I avoid turmeric? Since you have not been diagnosed with an active gall bladder obstruction or gallstone , there should be no reason why you should avoid turmeric. In fact it may help prevent gallstones or related disorders in the first place. Hi! I had been taking powered turmeric with black pepper for about 6 weeks to reduce pain from an inflammed injury in my lower back. I was taking one heeping teaspoon a day that I cut into 3 doses. A few nights ago I took my last dose before bed and I felt a little heartburn and nausea, so I drank more water. Within a span of 2 hours I was violently throwing up, having diarrhea, nausea and sweats. I ended up in the hospital because I had a severe panic attack which I didn’t know at the time until the doctor told me. Otherwise I would’ve never gone to the hospital but the panic attack scared me! I’m 36, healthy, workout, eat right. The only thing I’ve had in the past was some stomach problems, GERD, but I changed my eating habits and it’s improved 98%. So my question is, could the turmeric have cause the those conditions I stated earlier? Thank you for taking the time to read this! Sorry it’s so long!! I hope to hear your thoughts! Hi Tia. Sorry to hear about what you went through. Please check whether you are using a good brand of turmeric powder for in some cases there are chances of adulteration and heavy metal toxicity. The next thing is when taking turmeric avoid taking it on an empty stomach as it can trigger acid reflux in susceptible individuals. Also we would advise you to introduce turmeric gradually to your system. For a week start with 1/4 tsp and observe if there are any side effects; if not increase by 1/4 in the following week. Also, as you mentioned, its good to take turmeric in divided doses. Perhaps such a dose didn’t suit your system. Sudden high doses of turmeric can cause gastric trouble. Were you taking any other medications at the same time as taking turmeric? The best suggestion is to check the brand of turmeric you are taking and cut down on the dose. Despite of these measures if you are still facing any gastric discomfort please avoid turmeric. It could be nothing to do with the turmeric. You might have eaten something else that was bad or just had a bug. You’ll never know but not unlikely. People who take turmeric can still get ill. Having said that you should still be aware of any contraindications taking turmeric and stay within a safe limit. Hi I started taking ginger-pomegranite-tumeric juice about two months ago….a month ago I started taking tumeric juice. a tea spoon in water everyday. i’ve since noticed a rash on my upper leg area…..but my knees have stopped aching. any thoughts ? Ginger, pomegranate and turmeric go well together. Since the pain has subsided it does mean that turmeric is helping. We cannot reason as to why you are facing the rash. ‘A tsp in water everyday’: so are you taking turmeric powder or are you diluting fresh turmeric root juice? You can try reducing the amount and if you take any medicines close to it then please avoid that. Please monitor yourself for any rashes or other side effects and in event of these please discontinue turmeric. Has anyone had episodes of AFIB? I have sprinkled Turmeric on my eggs every morning for years, and have extreme AFIBS. Could it be caused by taking Turmeric every day for years? Hi. No its quite unlikely that turmeric could cause AF-ib. Asians take turmeric throughout their life so it is definitely not due to taking turmeric for years. Please consult a doctor about this. My husband had oesophageal cancer several years ago. A third of his stomach and half his oesophagus was removed.. He is getting on pretty well now but has to be on omeprazole to prevent stomach acid rising as he has no lower sphincter. He has taken curcumin supplements for ages for prevention but we’re wondering whether he’d be ok to use golden paste instead. I think I’ve read that both turmeric and black pepper can raise stomach acid? I would welcome any input, advice, tips etc. Oh, he also suffers from kidney stones!! What formulation of curcumin supplements was he taking? Did they contain piperine or fats to increase absorption of curcumin? Turmeric and black pepper would not increase stomach acidity if included in diet and consumed in moderation. Individuals have reported taking turmeric and stomach acid reducing medications at low dose and thereby reducing acidity. Coming to the kidney stones, turmeric has oxalates. If there are other dietary sources of oxalates, then turmeric could add to the load. However small doses of turmeric would not cause a problem in case there are no or little other dietary sources of oxalate as the limit is 50mg and 1 tsp of Golden Paste provides way less than that. However turmeric supplements are recommended as a safer option for individuals who are prone to developing kidney stones by experts. Hi Hannah. 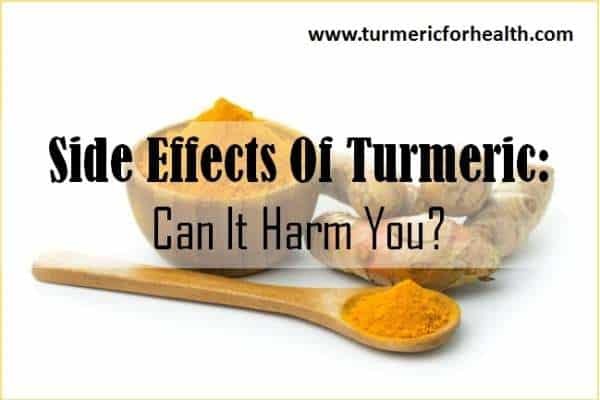 It is advisable for you to take turmeric supplements since including turmeric powder in food may increase your oxalate load and increase tendency to develop kidney stones. Opt for 95% curcuminoids with piperine or BCM-95 formulation of turmeric supplements. The dose would be as directed by the physician or manufacturer. Consult a doctor prior to taking supplements. Take the supplements with food and not on empty stomach for better absorption of reduced chances of reflux. Keep a 2-4 hour gap between consumption of turmeric supplements and any other medicine. Hi i had been having oesophagus cancer but one day someone gave me herbs and in three days i started swallowing with no difficult after i have suffered for eight months. i add turmeric powder to my morning bulletproof coffee, which i then top with cinnamon. i notice when i sprinkle a little too much powder and generous cinnamon, about an hour later i am extremely nauseous and experience violent vomiting…last time during a bus ride…ugh. am i allergic to the turmeric?…i also take a turmeric capsule with bioperine (from black pepper) later in the day and have no side effects with those….just when sprinkled in coffee. wonder if the nausea will eventually go away? who else has experienced this? Does bulletproof coffee suit you otherwise without the turmeric? You are not allergic to turmeric for if that were the case the supplement would have caused adverse reactions such as gastric side effects or skin rashes. Best to avoid taking turmeric and cinnamon in the coffee in your case. I take my turmeric with cinnamon and black pepper in warm milk every night and I feel amazing at mornings. Relaxed, rested, an lighter. But while ago I start taking turmeric and cinnamon in my morning coffee and I felt terrible. Nausea, heartburn, upset stomach and excessive sweating. When I stopped taking it I start feeling better. Now, no turmeric with Coffee for me. Hi. Yes a few other readers have also reported feeling uneasy when taking turmeric in coffee, but some do fine. Turmeric milk with cinnamon and black pepper is suiting you and is beneficial since the dairy fat helps in absorption and milk provides with a number of essential nutrients. the same thing happened to me. I am taking Turmeric with pepper and olive oil twice per day. Evenings are fine and I feel great next morning. But in the morning I take it after the breakfast and after that I get my cup of coffee. After 30 min to 1 hour I start to feel nauseous. Sometimes I feel nauseous whole day…. So i guess no more turmeric and coffee for me either, and thanks for bringing this up! Hi. To avoid gastric discomfort please start with small doses of turmeric. If the symptoms are pronounced please discontinue the use of turmeric. This happened to a friend…since it acts as a blood thinner it may be bringing to light a microscopic issue that he alread had…should let Doctor know and have kidneys, prostate etc checked out. Can a curcumin supplement affect the color of my stool? hi I started taking curcumin capsules 500 mg and developped insomnia – just too much energy. If I make a paste with oil and put it on my knee will it be absorbed into my blood stream like thecapsules? 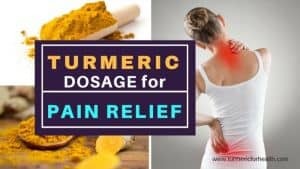 There is quite some research about intradermal delivery of curcumin but yes traditionally turmeric paste with oil is applied topically for pain relief. Instead of curcumin capsules you can consume Golden Paste. It is recommended to start with 1/4 to 1/2 tsp a day and gradually increase the dose. I was on Xeralto for 6 months, which ended March 2016. The doctors now have me on a lose dose aspirin for life because I had a PE. I take a low dose Quinapril daily for BP. I really do not want to continue taking aspirin for life and would like to switch to Turmeric, what is your opinion? MD’s don’t really know anything about the benefits of Tumeric. Curcumin is found to have blood thinning properties. So it is generally recommended to avoid curcumin supplements with blood thinners. Dietary turmeric would not cause such problems and no such case has been reported yet. You could possibly start with low doses of Golden Paste say 1/4 teaspoon a day but avoid taking it right when you are consuming other meds. Regarding weaning of aspirin and switching to turmeric it is best you get a second opinion or consult a herbalist or naturopathy expert,for your condition requires medical attention. Yes turmeric can help. In fact in a study focused on arthritis, turmeric is found to be better than diclofenac. Start with small doses of 1/2 teaspoon and increase the dose gradually to 1-2 teaspoons 2-3 times a day. I’m taking Olmetic plus which is (BP tablets) and also Aspirin.. Is it ok to take Tumeric tablets ? It is better to avoid taking turmeric supplements with any other medications unless advised by the doctor. Dietary turmeric would be fine. my friends husband takes turmeric powder with honey, swears by it for joints, but lately he has been having acid reflux. Could this be a side effect.? Maybe turmeric capsule isn’t natural as turmeric powder , I am using powder turmeric, in the packed mix a quarter a teaspoon of it with grated fresh ginger, half of fresh lemon, cinnamon powder, and raw honey. I am drinking it in the morning empty stomach before breakfast and at night. I rather use fresh turmeric root or powder form better. So far i dont have those side effect you had mentioned, i taking turmeric for almost 2 months now, my knee pain or joint pain is gone and so as my migraine. Yann, glad to hear that turmeric is helping you. Natural turmeric contains curcumin and a lot many compounds that make it so therapeutic. We would suggest adding black pepper or oil when you take turmeric since that increases absorption of curcumin in the body. I have been taking turmeric tea for more than a year now. I started out with drinking almost a liter a day. It helped me a lot in my joint pains due to rheumatoid arthritis. I am not taking the turmeric pill. I am using the turmeric root and make a tea out of it. I decrease my intake now to one glass a day. I haven’t experienced most of the negative side effects listed here. Maybe, if there’s any is it has an effect on my stomach since I also have acid reflux. So, I make it a point to drink the tea while eating or after a heavy meal. Cyndy thank you for your feedback. Yes its better to take the tea with meals and not on an empty stomach. I started on tumeric with black pepper 600 mg twice a day, hoping to lower my cholesterol. i am also on 75 mg clopidogrel. After a week, I woke up in the night with severe stomach pain. A day after that, my stools were completely black, indicating an upper GI bleed. Be very careful with tumeric if you are on blood thinners. I have since discontinued. Turmeric supplements are strictly to be avoided if taking blood thinners, since curcumin has antiplatelet property. Dietary turmeric would not cause such a problem since it has a lower concentration of curcumin compared to supplements and other compounds which aid in reducing cholesterol. You can take Golden Paste with meals at small doses and avoid it at the time when you are taking any other medications. I heard about turmeric tea? Does anybody know how does it make? if anybody know about turmeric tea, please let me know. Its quite likely that one at the grocery is fresh ground turmeric while the one at the pharmacy is supplements or standardized powder. Hi Thelma, I have the same experience by using the capsules 1300 mg for a month. Did you stop and how is it now? I been drinking turmeric tea, by slizing the root into thin slices and put it on a tea strainer and put boiling water and leave it until its lukewarm, the water turn to yellow. I drink it morning and evening for a month now. My menstruation period came early than my monthly schedule by 14 days and the blood is too red like fresh blood. Is this bad? Please help. Turmeric included in diet generally doesn’t cause side effects and that would be around maximum 1 tsp of turmeric powder a day. 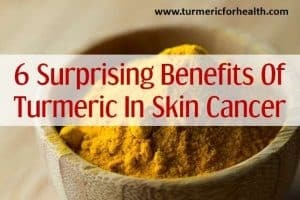 However if you are facing problems such as heavy menstruation and skin rash it is advisable if you discontinue turmeric use and observe if you are relieved. My guess it isn’t dangerous. I’ve done some healthy things in the past (diet-wise) and have also sometimes had my period sooner, and brighter red. The brighter red just means that it is fresher, as opposed to having stayed in the womb too long. I’ve had the same issue, plus my periods are heavier and last longer! I’m in my late 40s and haven’t had this issue before! I’m taking Asprin (Salospir) and want to take turmeric tabs, if I take one or 2 a day will this be a safe dosage? Aspirin acts as a blood thinner and curcumin also has blood thinning properties, so it is not advisable to take turmeric tablets with it. Turmeric may regulate menses in order to ease out any hormonal imbalances. This should not be much of a problem and it should regularize in some time. You can try reducing the consumption to once a day rather than twice. However if he menses are heavy or you are facing any discomfort avoid taking turmeric. This article is a wastage of time …. Like this we can have side effects of many organic and natural things…. Turmeric works for me and have been taking it for over one year now. However I have had to stop as developed and intense itchy rash which only seemed to come on when in bed. This happened after I increased turmeric by making turmeric paste and consumed two heaped teaspoons every morning. The rash was so intense that I was scratching drawing blood. Up and down 3/4 times a night to cool off. Can anybody else relate to my problem please? Back pain back since coming of turmeric for just one week! Audrey J. Yes. It is an allergy and check with ginger as well. I kept getting hives and rashes, plus intense lower back pain. Went to an allergist after rounds of steroids not doing anything. They did a prick test and I am allergic to ginger and turmeric. I took these out of my diet as well as my other allergens (oats and green beans) and I am doing well. Do you use good quality organic turmeric powder? Was this a problem when you took low doses? Try lowering the dose to 1 tsp or divided doses of 1/2 tsp thrice a day and see if the rash reduces. Will Turmeric capsules interfere with Diabetic medications such as Metformin, Januvia or Diamicron? Turmeric supplements have high concentrations of curcumin which can have blood sugar lowering effect. So it could have an additive effect with anti-diabetes medication. It is preferable not to use supplements. You can still include turmeric in diet and consume Golden Paste. I make juice of clementine orange and mix it with half inch of turmeric root. I drink it everyday. I think half inch of Turmeric root is the recommended. Taking too much has bad side effects. Also I suggest to buy 100 percent Turmeric capsules without any added ingredients in it. I just started taking turmeric curcumin today. 2 500mg each capsuls and my stomach is so upset. The pain is almost as bad as labor pain. What can I take to make it go away? Same here. Well, not pain so much, but nausea. Have toughed it out for a few days, but it looks like i have to stop with curcumin supplements. Does anybody know a remedy? Dietary turmeric could be of help if curcumin supplements are not benefiting you. It is advisable to take turmeric and its supplements with meals to avoid chances of reflux. 2500mg is a very high dose. Also the supplements should be taken with meals. Reduce or discontinue the supplements. It is advisable to take Golden Paste. I have been taking turmeric for about 3 months, since then my periods became really long — up to 13 days. I bleed a lot for two days but before and after my period the blood is very red and constant. I guess that taking milk thistle didn’t help. I’m not sure what to do, stop maybe? It helps me with concentration but I take it for uterine fibroids. I have the same experience by using Turmeric 1300 mg daily for one month. Long and severe period starting with spotting and now heavy bleeding. I’ve stopped the turmeric for 5 days now but it seems te worsen. Did you stop the Turmeric now? Get yourself to a doctor. Doctors know very little about herbs. Get yourself to a good herbalist or an Ayurvedic doctor or practitioner. They are trained in herbology. Aleida 1300mg is a fairly high dose. For what ailment are you taking this dose. Have you tried switching to dietary turmeric? You can take Golden Paste. Also consult a doctor with regards to the bleeding. I had similar experience since taking Golden paste. This month I have been bleeding for 17 days, first time in my life. I had a blood pannel last month to check hormones, fsh, lh oestrogen, all good ( mid 49’s no symptoms), then started Golden Paste for ankle sprain and I have the on going menstrual bleeding. My chinese medical herbalist thinks is the tumeric (taking organic powder, with coconut oul and organic pepper) as it is a atrong blood mover. Hi. We are sorry to hear this. You could cut down the turmeric dose or avoid it altogether. Please discuss this with the doctor to rule out any other causes. You could apply turmeric topically with lukewarm olive oil as a paste to the ankle and leave for 30 mins to 1 hour. Conduct a patch test prior. You could also manage pain better with turmeric tea or turmeric milk in which you should include no more than 1/2 tsp turmeric. Hi. What dose of turmeric are you taking? Reducing the dose may help. If it still persists then discontinue the use. If using Turmeric root, how should I gauge quantity/volume? I add fresh root to a smoothie every morning.Please, if you respond, respond to my email. 1-3g turmeric or an inch long piece is the generally recommended amount for daily consumption. Hi I have been taking tumeric supplement combination of artichoke powder milk thistle and aged garlic from gout care for two weeks. I’m 62 and had some spotting. Could it be side effect of tumeric started bleeding . I’m taking one capsule three times a day. Traditionally turmeric is said to cause uterine bleeding but at your age it is quite not possible. Have you tried reducing supplement dosage? Its best you consult a doctor or herbalist about the same. Cont’d-Ever sine then I get cramps. Is this a side effect? I had to go back to one a day. I was taking 400 mg of turmeric once a day. I started young it to one in the morning and one at night. Hi I’ve been taking Tumeric in capsule form for almost 2 years to help with arthritic pain in my hips although it doesn’t cure, it it really reduces the flare ups, and also It helps me when I have issues with my feet and ankles swelling. Never seemed to suffer any side effects just Great relief! HI Amina, Great! are there turmeric powder capsules or curcumin ones? I forgot to mention something very important. Most people don’t understand you need a lot of turmeric to erase pain. Start with 2200mg/day, trying for 3 weeks at a time and work up to 4800mg/day. It sounds like a lot but my doctor says it is very safe. He has a phd in nutrition as well as a medical degree from Harvard. I had no side effects at this high dosage. Thank you for sharing this. High doses of turmeric are a must if the condition requires that. Best to take a doctor’s advice on that. However these doses are not advised on long term. I had hip pain but I didn’t know about turmeric and it’s fused , now I am taking turmeric but after taking three days , daily one pice of turmeric ( root ) , I got diarrhoea , first stomach upset and indigestion …. Turmeric consumed at high doses can cause gastric side effects. What is ‘1 piece’ in terms of gram or inch? The dose for fresh roots is 1-3 g.
Amina, there are many natural wonders to ease pain. Turmeric is just one and worked for me it was 30-40% improvement. Other things you can try one at a time, are niacinamide, Sam-e, and best of them all is serrapeptase. This last one is best taken in the very early morning when your stomach is very empty. 1 pill/day. start with Dr. Best 120000 units. There is a higher dose but you may not need it. Amazon has it. My hips don’t ache anymore. If your mattress is old, that could be the culprit too. Old firm mattress and old hips are a budding disaster. Good luck! Glad to hear turmeric is helping you. You could also consume Golden Paste. Since taking turmeric supplement 400mg one a day for my arthritus I have had a throbbing in my left ear which affects my sleep nighti times as when it’s quiet it is worse . Is this one of the side effects ?. Hi, are you taking turmeric supplement or turmeric powder here? Was taking Turmeric 680mg caps. two in morning + two evening – within 3 weeks got an itchy red raw rash on elbow with pimples + white raised blotches. This also appeared in the groin with sweating. Too much and had to cut back to two caps of 680mg ea. per day hopefully rash will go on the much lower dose. Have to take in morning now as I take Nexium ant acid which is not compatible. Hi, are you taking turmeric supplements? There are lots of possible issues with them. Please try using good quality turmeric powder. And yes, cutting dose may also help. please keep us posted. Secondly, I have just ordered a high grade curcumin 95% for my mom who’s on a couple of blood thinning medications such as plavix and aspirir. Should I stop giving her the meds? I fear that she could hemorrage from all I have been reading. So the side effect for someone with high blood pressure may be lower blood pressure. Sounds good to me. As does the side effect for anyone taking anti coagulants. I would much rather take a natural supplement than pharmaceuticals which come with a list of side effects as long as your arm, some if which are quite horrific. But I guess you can’t actually say that as the drug companies really don’t like it.